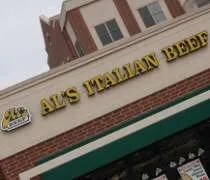 Al's Beef on 95th in Oak Lawn. It only took a day and a half this time. Operation Bridesmaid Pickup is in full swing and J, her mom, and the one out-of-town bridesmaid headed to the hotel to unload a bunch of stuff for this week. I was left at the future in-laws house to shower and run a couple errands. Of course, it was lunch time and of course, I wanted a beef. Al’s Beef is a Chicago legend. They claim to be the inventors of the sandwich. In recent years, they’ve expanded quite a bit around Chicagoland with franchise locations. One of those franchises is in Oak Lawn not too far from where I was staying. I’ve been in the Chicago area for three days now. I’ve had two pizzas, but no Italian beef. J and her mom got up to go do some wedding planning that I didn’t need to be there for, so I slept in. When I got up, I was hungry. I wanted an Italian beef…..bad. 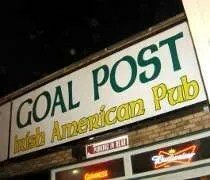 J’s parents have recommended a little place just around the corner. They have Italian beef and it was close, so that’s where I went. 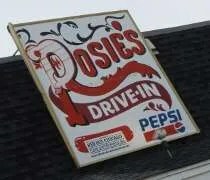 Rosie’s Drive-In is on South Cicero Street at 103rd in Oak Lawn. It’s not a Drive-In in the traditional sense. There are no speakers in the parking lot and no car hops. 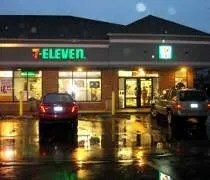 It is a small building that does most of it’s business with carry-out and drive thru. TGI Friday's on 95th Street in Oak Lawn. After seeing the best basic cable clip show host perform at The Horseshoe Casino in Hammond, IN, we needed food. It was a little after 10:00 by the time we left the casino and even though we were only 15 miles or so from home, taking surface streets in Chicago can take a really long time. The neighborhood we were driving through really wasn’t a neighborhood we were wanting to stop in, so we all started talking about places to eat back in an area where J’s parents were more familiar with the options. There were, of course, the two 24 hour family restaurants, but I think everyone was wanting something more than classic diner food. J tried calling a couple chains to see how late they were open and didn’t have any luck until she called TGI Friday’s. 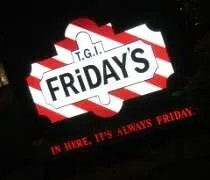 The Oak Lawn TGI Friday’s is on 95th Street in downtown Oak Lawn. A few years ago, you would have only found houses were the building stands, but the Village board had a different vision for the area. They made the area a TIF district and used emminent domain to get rid of the houses. Now, a bank and Friday’s share a parking lot along the very busy commercial artery of Oak Lawn. OK, here’s the set up. J and I were in Oak Lawn for one of her friend’s surprise birthday party. Supposedly, we were in town because I was working. Since I was working, J asked two of her friend’s (birthday girl included) if they wanted to go to dinner. They went to their favorite restaurant in LaGrange. Halfway through dinner, I called J telling her I got out of work early, her parents weren’t home, and I didn’t have a key to get in so I went to a bar to watch the basketball games. As the dinner wore on, I was getting crankier and crankier because I had to sit at a bar and wait for them. In reality, I was at the bar, but I was there with the birthday girl’s husband, parents, and fifty of her closest friends. When the three ladies got to the bar I was at, J called me again and told me to meet her in the parking lot. I had just ordered a beer, so she was gonna have to come in. The other friend, said they should come in and say hi since I was in such a bad mood because I was stuck at a bar by myself. That did it. They got the birthday girl to come in first. I was sitting at a bar by myself and they could see me when the walked in. The party goers were behind a wall. When the birthday girl got close enough, I pointed behind her. She turned around, everyone yelled surprise and she jumped twenty feet. Totally fooled. Had no idea it was coming. There’s been a fried chicken debate going on between J and I since we started dating. I have always preferred Popeye’s Chicken while her family grew on Brown’s. If you’ve never heard of Brown’s, it’s probably because it’s a Chicago chain. 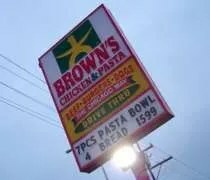 If you have heard of Brown’s, it’s probably because of the “Brown’s Chicken Massacre” which happened at a Palatine location in 1993. We were in Chicago for a surprise birthday party for one of J’s friends. It was J’s job to distract the birthday girl and get her to the party later in the evening. J and another friend decided they needed a girl’s night out at Al’s Char-House in Lagrange (review HERE). Since I was being used as an excuse to be in Chicago that weekend, I couldn’t be seen and therefore couldn’t go to dinner with the girls. After dropping J off, I was on my own for dinner. We just had the Popeye’s/Brown’s discussion earlier this week so I thought I’d give the Chicago chain a chance to see if they really were better than my beloved Popeyes. It was time for lunch again and we had a hard time deciding where to go. We knew there would be six of us because J’s uncle and his girlfriend were meeting us as well. It took a long time to finally settle on a place. We needed something that would be quick and something that would satisfy a number of different palates. We finally settled on Jedi’s Restaurant. 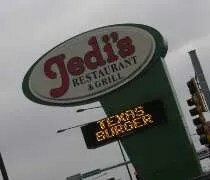 Jedi’s Restaurant is on the corner of Cicero Avenue and Southwest Highway in Oak Lawn. It’s a typical family restaurant with a large menu and a family friendly atmosphere. The rest of our party was already seated when J and I arrived, so we joined them at a table on the “upstairs” part of the dining room. We were seated right next to the fish tank which was a pretty big draw for the kids in the restaurant.